The spy film genre, which is mainly the subgenre of thriller and action, deals with the subject of fictional espionage, either in a realistic way (such as the adaptations of John Le Carré) or as a basis for fantasy (such as James Bond). Many novels in the spy fiction genre have been adapted as films, including works by John Buchan, Le Carré, Ian Fleming (Bond) and Len Deighton. It is a significant aspect of British cinema, with leading British directors such as Alfred Hitchcock and Carol Reed making notable contributions and many films set in the British Secret Service. Spy films also enjoyed something of a revival in the late 1990s, although these were often action films with espionage elements, or comedies like Austin Powers. Today, spy films have trended away from fantasy elements in favor of realism. One good example is Ek Tha Tiger which is going to be released on the sixty sixth Independence Day in India. It has very little to do with Indian Independence as Bedabrata Pain’s Chittagong has in it. Ek Tha Tiger is basically the spy thriller which is high on action having also a high dose of romance. Agent Vinod starring top actor Saif Ali Khan and actress Kareena Kapoor was also a spy thriller and was banned from release in Pakistan. Agent Vinod was released in India and worldwide by leading entertainment conglomerate Eros International on 2,500 screens. Ek Tha Tiger has also Pakistan association, but till today no negative report has reached us. The Rs. 50 crore budget film Ek Tha Tiger marks Kabir Khan’s third collaboration with Yash Raj Films after Kabul Express in 2006 and New York in 2009. 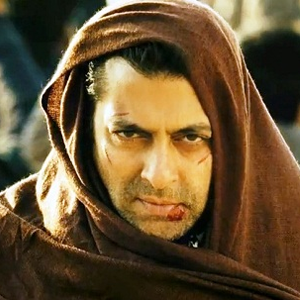 The pre-production for Ek Tha Tiger started in the second half of 2010, after the script had been completed. The principal photography commenced on September 2011 and ended in June 2012. The shooting for Ek Tha Tiger however started on the 10th of August 2011 and it was shot in 5 different foreign locations which include Turkey, Ireland and Iraq. The entire crew had to encounter with an earthquake while in Turkey. In Ek Tha Tiger Salman plays the character of the central protagonist ‘Tiger Boss’. This movie is being billed as one of the biggest movies of 2012 and with the Salman – Katrina pairing, expectations have gone higher. Before turning to feature film, Kabir Khan was known as a fearless documentary filmmaker. In his 24-year-old career in Bollywood, it is for the first time that he has teamed up with Yash Raj Films. The story in this film was sacrificed and yet few seemed to bother because the Salman ‘Dabang’ Khan and Katrina ‘Chikni Chameli’ Kaif werre found romancing on-screen. The 2009 release ‘Wanted was a turning point in Salman’s career and one after another hit raised the mercury of his popularity : Dabangg, Ready and Bodyguard. After 'Kabul Express' and 'New York', its his third film with Yash Raj Films. After three back-to-back hits, Salman Khan is at the peak of his career in Bollywood. The mercury of expectations is raising high. Going by Salman Khan’s score at the box office, this surely will be his biggest hit so far and this time Katrina Kaif will be alongside to add that extra factor to it. Katrina Kaif plays his love interest in the movie and her characters name is ‘Zoya’. It for the first time after their break-up that Salman and Katrina are paired opposite each other in a movie. The story of this film is written by Aditya Chopra and is being directed by the ‘New York’ hit maker Kabir Khan. The story which revolves around Tiger, a rugged, handsome and mysterious bachelor, is a heady mixture of duty and romance. Salman plays the role of a Research and Analysis Wing (RAW) officer. He is sent on a safe mission to Dublin, Ireland, to observe an Indian origin scientist who is suspected of sharing his research findings with the Pakistan defence establishment. He attempts to meet the scientist but did not succeed. He then befriended the scientist's part-time home caretaker, Zoya (Katrina). In the company of Zoya , Tiger discovers that his being a RAW officer could not totally suppress his human side and for the first time in his life he falls in love. The rest is fighting and fighting with the dark world of intelligence. Love is the forbidden fruit in this paradise and the tumultuous journey followed. It was even reported that Salman Khan has been offered a whooping amount of 32 crores for this movie. It is for the very first time in his career that Salman Khan is in the lead of a movie being produced under the Yash Raj Films banner. Kabir Khan claims that everyone will get to see Katrina Kaif's acting potential in the film. Salman Khan is a legend in the film. Kabir Khan wrote the script with Salman in mind and there is nobody else who can play Tiger better than him. Salman will be seen with his ex-girlfriend Katrina Kaif after four years. Their last film together was 'Yuvvraaj'. Many interesting things happened on the set of the film during its shooting. Salman Khan, learnt a golden lesson in generosity. It happened when the crew of Ek Tha Tiger was shooting in Turkey during Diwali, when Katrina Kaif decided to gift a gold coin to every crew member. This act of hers inspired her ex-love Salman. So much so that he also decided to follow suit. So, this Diwali, every crew member of Ek Tha Tiger received two gold coins! Hearing about these ex-lovers do such a golden deed fills our hearts with warmth for the stars. But this was not the only way in which they bonded. Apart from showering gold coins, Sallu bhai and Kat also renewed their friendship when an accident occurred on the sets. Katrina was shooting a scene where she had to ride a bicycle. Unfortunately, she lost her balance and fell with a thud! Apparently, it was Salman who rushed to her rescue before anyone could even move a muscle! Many now feel that the couple will attract more and more footfalls to theatres. There was a controversy regarding the release date of this movie. Reportedly this movie was supposed to be released on 1st June 2012 but on Aamir Khan’s request, who wanted to release hi movie ‘Talaash’ on the same day, Salman shifted the release date of his movie to Eid of 2012 which is in August. The other controversy surrounding this movie was that music director, Pritam was supposed to compose the music of this film, but when he opted out, Aditya Chopra roped in Sohail Sen to compose the music of his film. Sohail Sen’s previous venture was ‘Mere Brother Ki Dulhan’ which did fairly well at the box office and its music was a huge success. Ek Tha Tiger is being produced and will be distributed in the overseas and Indian market under the Yash Raj Films banner. It is definitely a movie to watch out. You've mentioned John le Carre in the above review. His novel "Tinker Tailor Soldier Spy" has been recently filmed and the George Smiley was played by the legendary Gary Oldman. It would be nice to hear your critical take on this film. It is one of my favourite movies.